Kate, I went to Pottery barn the other day with a friend. When we walked out she said to me "if I could decorate my whole home in Pottery barn, I would." I felt the same way. It really is a great store. Expensive but great. I always want to crawl in to their couches and I really love their accessories. Here were a few things that caught my eye. Last but not least they have a fake fiddle leaf fig tree! Two reasons this excites me. I can't get over having one of my children or my dog ingesting a poisonous plant. (I am a worry wort) And I have a brown thumb. Yes, that's right, I kill anything that is green in my home. It also looks real! 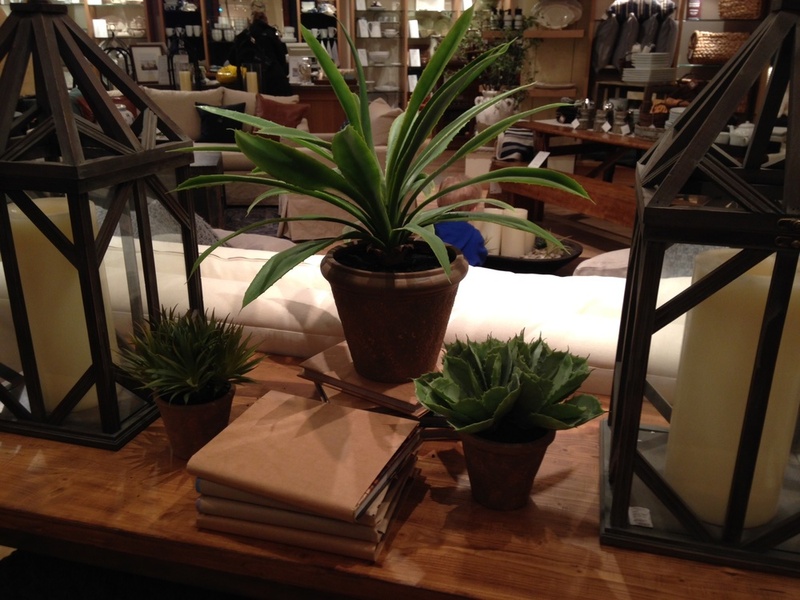 Ahhh Pottery Barn you stole my heart this week.